Greenwich Village Funeral Home offers first-class service to the diverse community that is Greenwich Village in Central Manhattan, NY. The business is easily accessible via West Street, FDR Drive and even the Queens Midtown Tunnel, which allows residents of other neighborhoods and boroughs to enjoy the services. This funeral and cremation business has roots dating back to 1926, when the business was founded as G.B. Perazzo Funeral Church. This was the first luxury funeral facility built specifically for the purpose in Manhattan, and the careful planning continues to serve the business today. All of the public facilities are located on the same floor within the building, for convenience. G.B Perazzo was the proprietor of this business, and it was passed through the Perazzo family until 1987 when G.B. Perazzo’s grandson sold the business to Peter DeLuca. 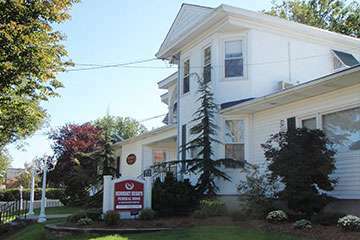 Once again a family-owned business, this funeral home retains its name under the Greenwich Funeral Home umbrella, as do several other funeral homes. From traditional cremations and burial ceremonies to lavish funeral services and Web-broadcasted memorials, Greenwich Village Funeral Home offers something for every family. Less traditional offerings available at the facility include celebrations of life, green services and direct cremation. The prices below are based on the General Price List for Greenwich Village Funeral Home. However, funeral homes sometimes have special pricing packages available, and you should ask if those are available. 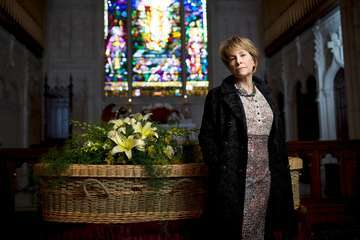 Please let the funeral director know that you found Greenwich Village Funeral Home on Parting.com to allow us to continue helping families like yours. The funeral directors at Greenwich Village Funeral Home are available to provide you with expert advice.